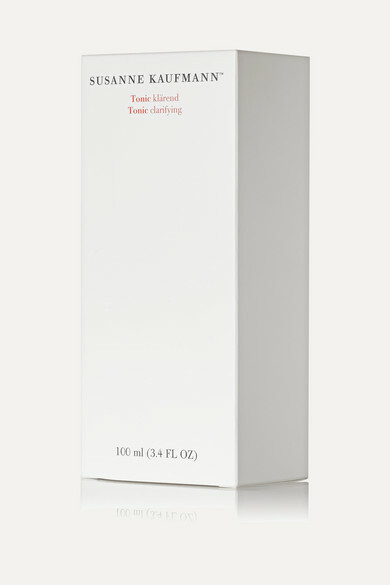 Susanne Kaufmann's facial tonic gently cleanses to reveal a brighter, clearer complexion. It's enriched with antibacterial plant alcohol that invigorates the skin without stripping it of moisture. This gentle formula is especially effective on combination skin that has oily areas.